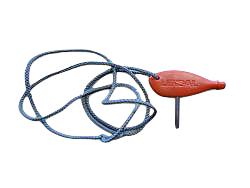 Used to tighten and loosen the Paddlok System, thus enabling one to take apart the paddle or to tighten up a loose connection. Make sure to always have one or even a couple on hand. Secure one to your PFD.